The ‘Jews’ in the time of Jesus, as they are now with the addition of Khazars and Huns (a Turkish-Mongol stock of converts to Judaism), where Edomites (Sons of Esau, Romans 9:13) and Caanites / Kenites. It is the decendants of Jacob-Israel – (I)SaacsSons, Saxons, that is in a covenant with G-d, and who fulfill ALL Biblical desciptions of the Lost Tribes of Israel (Caucasians in Europe). «As it is written, “Jacob I loved, but Esau I hated.” – Romans 9:13. Great Britain was the 10 Lost tribes of Israels ‘New Jerusalem’, our Zion. In 1776 the Tribes of Israel, descendants of Jacob-Israel, the Saxons, (I)Saacs Sons, 2520 years after the diaspora, exactly seven -7- times after the diaspora commenced in 745 B.C. (Lev. 26:14-18, Lev. 26:24-33), was to be reunited in USA in 1776. where Israel was reunited after the Jews had hijacked our Zion in «England’s green & pleasant Land«, as William Blake puts it in his poen ‘New Jerusalem’, but the Jews hijacked our Zion as we shall see below. And than by Divine Providence the Tribes of Israel seeked shelter, from the satanic tyrants of the Jews in The Crown and The City that had hijacked Zion in GB/Europe, Israels kinsmen run off to the New World; USA and rebelled against the Jewish The Crown in the Boston Teaparty. They took Great Britain centuries ago, see also this article, they took Russia after, during the Bolshevik revolution and WW1, they took Germany/Europe after WW2 as Hitler was a trojan horse placed in controlled opposition to their communist anti-thesis to control the outcome, they are finalizing taking USA, where all the Lost Tribes of Israel was re-united in 1776, after 2520 years in the diaspora from 745 BC, dispersed in all nations as punishment for their sins, 7 times. It took only 250 years for Esau’s children and the Khazars (askeNazi’s) to infiltrate and grab power from Jacob’s seedline; Jacob-Israels decendants in USA. In Norway the German commander Terboven never capitulated to Norwegian forces in 1945, but to the commander of The Crown/The City. The illusion of ‘freedom’ created, will fall in our time 60-70 years later, we’ll find out that the ‘Jewish allies’ and The Crown/The City took full power grab of our country after WW2 when they won the war. 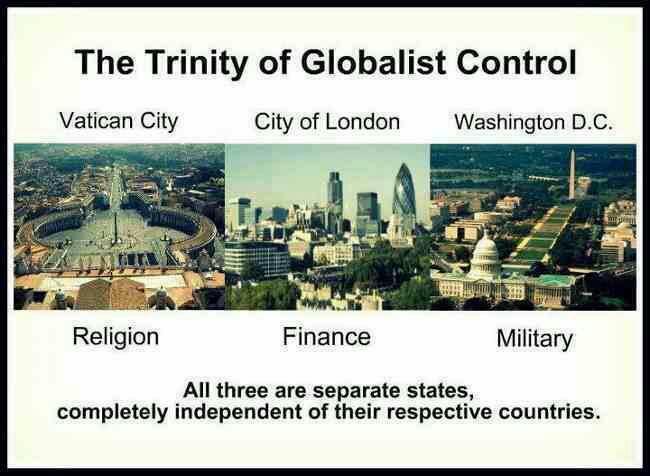 The two other arms of their trinity control is described below, included the history of how they gained control over the European monarchies of the Lost Tribes of Israel. Gog and Magog war is in progress The Khazarian powergrab of the West. In the times when Israel, the white people, was doing their divine mission to the World, the quest of bringing civilization and the Spirit of Christ to the Worlds populations, they was looked up to and respected by the rest of the world. After the crypto-white ‘Jews’ grabbed the power and implemented their systems, all whites of the Tribes of Israel are despised for what the crypto-white ‘Jews’ of Khazaria have been doing from their power bases in the West, especially in banking and media, and is doing; wars, plunder, usury, murder, moral corrupt behavior and perversities promoted all along. «He answered, “I was sent only to the lost sheep of the house of Israel.” – Matthew 15:24. 1290 The Jews expelled from England by Edward I (reigned 1272-1307) due to the Jews’ crime of blasphemy and blood ritual murders. 1655 Cromwell, through his alliance with the Jewish bankers of Amsterdam and specifically with Manasseh Ben Israel and his brother-in-law, David Abravanel Dormido, initiated the resettlement of the Jews in England. 1694 The Jews established Bank of England. Until this time Israel is not in need for this bank, as usury is forbidden for them, and they gave mankind SERVICE as Jesus request, and NOT to be rulers in the power of the pound (or dollar). 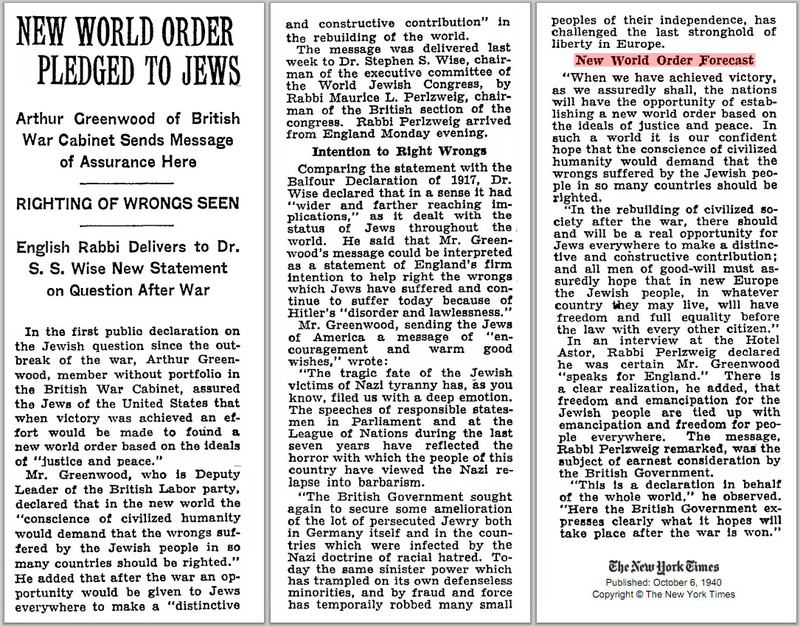 1913 The Jews established Federal Reserve System (USA Central Bank) in USA, that allowed them to print money and loan the money out to the USA state for interests (usury). The money they use to finance the military and spiritual conquest of the World. The jewish promotioning of multiculturalism is a perverted form for the tribes of Israel to unite, live in peace and safety without walls around their cities in the New Jerusalem / Zion (Ez. 38:11). Introducing barbars into our Zion and our New World, is a satanic way of spoiling G-d’s plans for The Tribes of Israel, AND Judah/Benjamin, as also are to be re-united in the end times (Judah is NOT Khazars, Edomites and other savages, neither are this savages of the tribes of Israel). Esau’s descendants and the converted Khazars, kalled askeNazi ‘Jews’, have hijacked Great Britain and use it today as their arm of conquest for the Jew World order. When Great Britain was in the hans of REAL Israel, than it blossomed, Israels Lost 10 Tribes imperium of the Lost 10 Tribes of Israel as promised in the Bible, for the SERVICE of mankind and bringing civilization to the World, but after the Edomites, the Khazars and the satanists hijacked the Tribes of Israels Great Britannia, Rule Britannia, than is was condemned to form what it is today, under the yoke of the Khazars and Edomites of The City, who has been working tiredlessly over the years to get their Jew World Order. Gods Word NEVER fails to be TRUE. What the fake Israelis are trying to do today, Eretz Israel, REAL Israel did and had 70-80 years ago. They was not able in England to completely overtake it openly, what was begun in 1694, before in the beginning of the 1900’s. They had to form alliances with REAL Israel in GB, and merge slowly into the mindstream, and corrupt it gradually with lies and deciet, until they in the end can hijack Jacob-Israels decendants societies completely, as we see today is done. The White People have nearly falled from grace on the special divine mission to counsel the other races and bring them all together in a global fellowship in the Spirit of Christ, for G-d, before the End of Time as described in the last book, the End Times book, of the Holy Bible; Revelations. «.. As my ears listened to the thundering of the cannon, clashing of sword, and the shouts and cries of millions in mortal combat, I heard again the mysterious voice saying, `Son of the Republic, look and learn.’ When the voice had ceased, the dark shadowy angel placed his trumpet once more to his mouth, and blew a long and fearful blast. The ‘little child’ is Jesus Christ. And this satanic people have hijacked the real mosaic and Christian 10 Lost Tribes of Israels Great Britain, took USA in 1913 by the Federal Reserve Act, same trick they did with the Bank of England (Central Bank of England), by usury and from the profits thereof through terror, war and conquest of all nationas under the sun, is about to take the rest of the World in their Jew World Order. It is a satanic World Order, the Anti-Christ order. Hoffman; Usury in Christiandom. The Sin that Was and Now is not. The allowance of Rothschild usury practically speaking changed the World, away from Christian principles, towards Jewish satanic Talmudic traditions of men. Some people serve the Jews, others serve the Lord. While Lost Tribes of Israel would serve the Lord, the Khazars and the Edomites and their kindred serve Satan / Lucifer (Re. 2.9 and Rev. 3.9). That was Israels system for Israel. The Jews are always doing the opposite of what the Tribes of Israels divine recommendations are: IRS was made at the same time the Federal Reserve System was put in place by corrupt politicians,taxes to pay for the usury. In Eric Nelson’s The Hebrew Republic he writes that Oliver Cromwell’s Leveller coalition were proud to call themselves «Talmudic Commonwealthsmen». The beheading of Charles I came directly from the Mishrac tradition. If this is true, as history of opressive ‘Commonwealthsmen’ itself confirm in the records of the East India Steamship Company (Rothschild sorporateism, for theft and plunder, NOT for service to mankind as is TRUE Israels divine calling, then the Talmudic satanic Jewry (Synagogue of Satan, Rev. 2.9 and Rev. 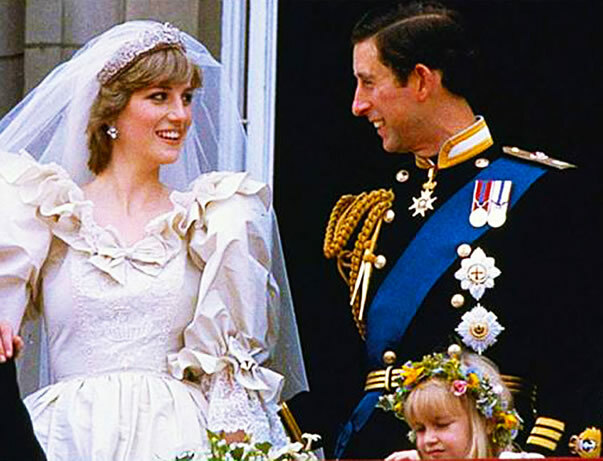 3.9) was then re-introduced into the Great Britain monarchy. Away from mosaic, Israel and even Judah traditions. If this is true, than divine Israel, the white people (Caucasians) of Great Britain and Europe was merging with satanic Khazars and Edomites. And then sooner or later the good will be absorbed by the evil part. This two can NOT be merged; «A little leaven leavens the whole lump». (Galatians 5:9). «The dreams of England’s Judaizers had to await the “resortation” of King Charles II to the throne; that is when the Talmudic/Midrashic praxis gained firm purchase and not before, as I endeavor to demonstrate in Revisionist History issue no. 74.» – Michael Hoffman. > Revisionist History Newsletter no. 74. IF this is true of the Stuart dynasty, that they was against the Talmudic Jewry usury practises, than it explains also the conflict of Windsor and Stuart in the case of Princess Diana’s murder. It is two completely different worldviews clinching, that of Jewish Talmudism and Israel/Judah. REAL Israel would have brought the World into a upward process of self-transformation. International Jewry brouht the World into a downward process, by their sick need to be rulers more than servants; The Jewish New World Order. We notice that this change from the Stuart bloodline, to another bloodline that lead up to todays Windsors. Today’s royals are NOT Israels Lost Tribes. Diana was a Stuart. Of course she cuoldn’t get along with the satanists. Jesus says we are to know the real ISRAEL from their fruits, and that is correct. We do. We see what they do, and what priorities they have. «Naphtali (Norway) is a deer let loose; He gives beautiful words». At the time when Christian freemasonry societies became divisons of B’nai Brith (Jewish masonry), fell in the trap of recognizing the fake Jews as ‘Israel’, the destiny of the Israels Lost Tribes of Israels civilizations was on a decent into the abyss and fate of ISRAEL’s Kingdom as Harbringers of Christs Kingdom on Earth was sealed in the first round. From that moment on a lot of well meaning people started act against the covenant Jacob-Israel’s decendants had with G-d, and the Kingdom of Anti-Christ (Jewry) became the utopian satanic talmudic religion from Babylon of the day, as per end times prophesies in the Holy Bible. Anyway, there WILL BE a second round, a spiritual battle to fight for humanity’s souls. That is another story, about how the Jewish Masciach will enter the scene (already here), and how Tribes of Israel’s REDEEMER Jesus Christ will make the wrongs right.